Wash badam and soak in hot water for an hour.Remove the skin. Grind Badam with required quantity of milk into a smooth paste. Dry roast cashew and powder it. Heat Kadai and add badam paste,powdered cashew and sugar together. Keep on Medium flame.Stir continuously with potato masher and pour ghee every now and then. Add Elaichi powder. As and when it comes to halwa consistency,it will become thick. Switch off the gas. Then continuously stir for 5 minutes.. If u take a small piece of thick paste and put in a plate,it shd become dry and non sticky and u can roll that small piece like a ball. Spread this to a greased plate. Cut them into square pieces. 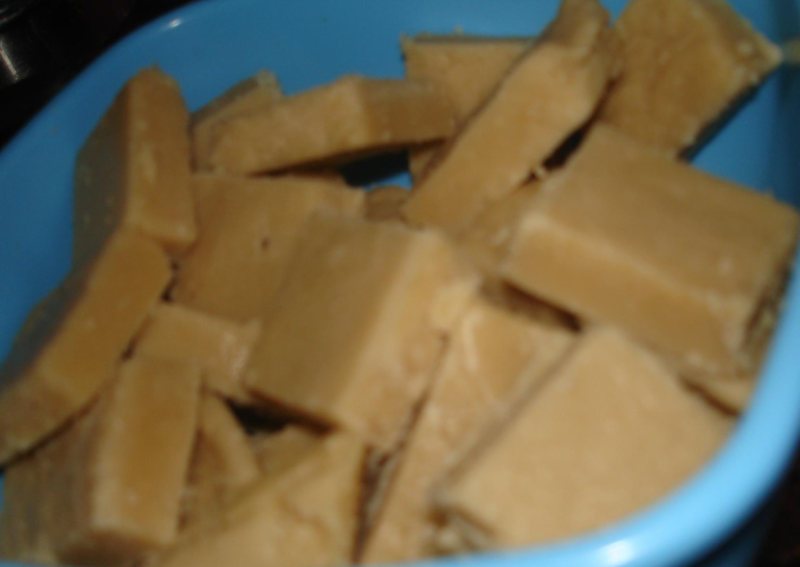 Mouth watering badam kaju mysorepak is ready. Note:Potato masher is used as it doesn't allow to form lumps.can use saffron. Use ghee from lurpak unsalted butter. aroma is excellent. in the note,i mentioned that i used lurpak.please apologize.i didn't recommend.d is missing is use.